After the release of the Fourth Pay Commission report, the debate inevitably has focused around the increase in basic pay which is 14 percent at higher levels to 21 percent at lower levels in the civil service ranks from O 1 to Ex 1. There is also a 14 percent hike for politicians and a 23 percent hike for GSP staff and 29 percent hike for ESP staff. However, both the civil servants complaining about the minimal basic hike, as well as the government saying it reduces the income gap have both not been accurate or even honest. Firstly, the actual overall hike for all public servants is much more than just the basic pay hike of 14 to 29 percent. This is because the other hikes in addition to the basic pay hike are a seven percent provident fund hike with the government’s contribution increasing from 11 to 18 percent, 10 percent hike of Performance Based Incentive and 3 to 14.2% house rent allowance hike. The house rent allowance goes up as it is linked to the increased basic pay. This means that the hike for civil servants between Ex-1 to O 4 is from 35 percent to 42.2 percent. This means that O-4 to O-1 get a 42.2 percent total hike, S-5 to S-1 get a 38.6% total hike, P5/SS4 to P1/SS1 get a 36.2% total hike, Ex/Es 1 to Ex/Es 3 get a 35% hike and the Government Secretaries and Cabinet Secretary get a 45.2 percent hike (see box 1). Not only that, even Constitutional Bodies heads and members get around a 45.2% hike (minus HRA for the few getting government housing). The PM, Cabinet Ministers, Speaker and Opposition Leader get a 31% hike but this is keeping in mind that they get free housing and so do not get any House Rent Allowance increase which is based on the basic pay. The Pay Commission report says that it has gone in for a strategy of a modest increase in the basic pay but it is backed up by monetary reward in terms of a 10 percent performance incentive and also increased government contribution to post retirement or provident fund benefits. So, in short, while the pay commission report does give a minimal basic pay hike, it divides the rest of the hike between improving performance with a monetary linked incentive system and also increased PF benefits for a more secure post retirement future. The basic pay hike itself has been calculated in terms of the income erosion of the last five years since 2014 due to inflation which is 21 percent. Of this 10 percent has been taken care of by the annual increments but it still leaves 11 percent. The Commission therefore gave a total hike of 14 to 29 percent to cover not only this 11 percent but also be slightly above it. The report, mentions that house rent allowance of 20 percent for civil servants will be linked to the increased basic pay which means an increase in the house rent allowance. There may be some issues around the PBI but the fact that the report has budgeted the entire PBI amount of 10 percent shows the most civil servants will get either the full amount or most of it. The above also does not include the fact that health professionals and teachers allowances are being increased along with new allowances. It also does not include the Special Responsibility Allowance for Constitutional posts. 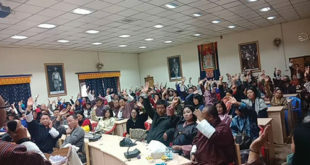 The Bhutanese found that given the above realities of a much higher overall hike the income gap has further widened, both within the civil service and also outside it- compared to the private sector. The hike in pay and benefits for ESP staff comes to a total of 77 percent and for GSP staff it is around 55.6% but here while the percentage may sound high the actual increase is actually not as much given the small base. In the end, the 77% hike for the ESP comes to an increase of around Nu 5,390 per month while the 55.6% hike for GSP comes to 4,271 to 4,492. This is compared to a 45.2 percent total hike of a government secretary which comes to around Nu 29,800 per month. A 35.2 percent hike for an MP comes to around 23,172 per month. This is not even including the Nu 4,000 hike for driving allowance and 3,000 hike for fuel allowance. In the case of the PM, the total hike comes to 55,800 per month while it is 40,300 for ministers, NA Speaker, NC Chairman and the Opposition Leader. For Constitutional posts and Drangpons of Supreme Court and High Court the hike is between 33,972 to 27,133. For the Cabinet Secretary the increase is 33,972. 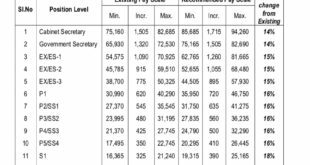 For 04 to O1 civil servants the total 42.2% hike is between 3,589 to 4,425 per month. 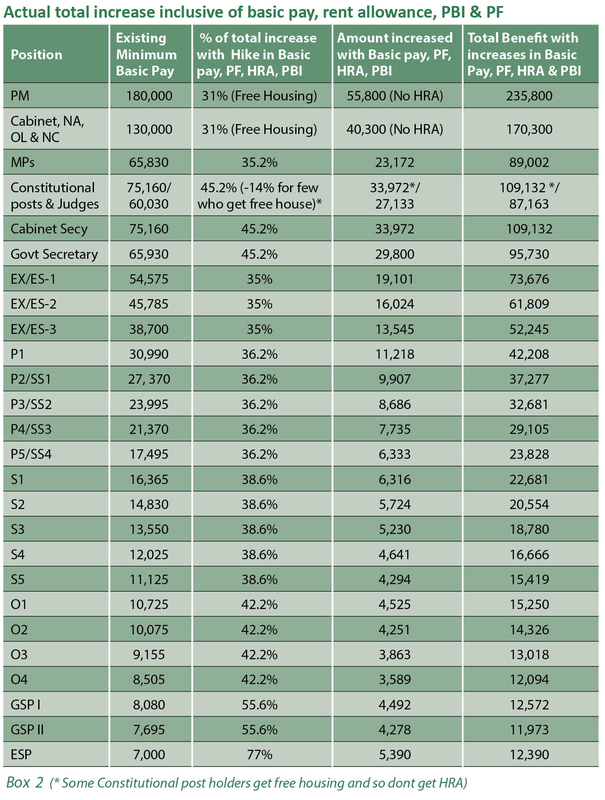 For S5 to S1 civil servants the total hike of 38.6% is between 4,294 to 6,316. For P5/SS4 to P2/SS1 the total hike of 36.2% is between 6,333 to 9,907. The total hike for P 1 at 36.2% is 11,218. The 35% total hike for Ex3/Ex3 is 13,545, for Ex2/Ex2 it is 16,024 and for Ex1/Es1 it is 19,101 (see Box 2). The income gap has risen because while an efforts was made to be more equitable by giving a 14 to 29 percent basic hike with the lower end getting higher hike percentages there were two problems. The first issue is that the base of the high income civil servants is higher with a much higher existing basic pay scale and so whatever the percentages- the differences still remain. 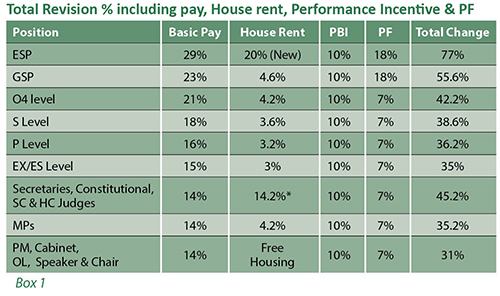 The other issue is that the other incentives like 10 percent PBI, 7 percent PF and the HRA increase have been given almost uniformly based on the increased basic pay further widening the income and benefits gap. The house rent allowance moved from 20 percent to 30 percent for government secretaries and Constitutional post holders which will further enhance this difference. MPs already get a 30 percent HRA. At the same time, it is important to note that vast majority of civil servants are in the middle and lower levels which means any substantial increase in this category will also mean much bigger budgetary implications. Of the total 29,543 civil servants in 2018 there are 14,051 (47.7%) civil servants in the Professional and Management category of P5- P1 category, 12,729 (43.2%) civil servants in Supervisory and Support (S5-SS1) category, 2,390 (8.1%) in Operational (O4-O1) position and only remaining 1% in Executive and Specialist position category. In terms of public servants there are 5,361 ESP and GSP employees. 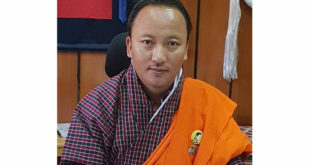 There there are 72 in Parliament, 26 constitutional posts, 553 NFE instructors, 1.499 in local government, 277 para regulars, 114 in RAPA and six others coming to a total of 7,908 public servants. There are then 3,087 working in contract in the civil service mostly in education and projects. This takes the total to 38,003 public servants who mostly make up the middle or bottom. While the income gap or difference in the civil service will widen the difference will be even higher with the private sector. 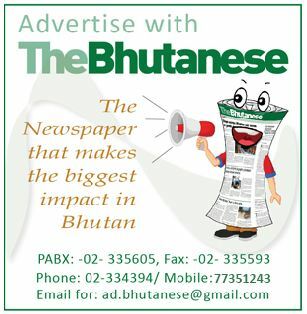 Bhutan’s weak private sector is already lagging behind in wages compared to civil servants. Except for a few big companies the vast majority of small and mid-sized companies will not be able to given a similar basic pay hike. Added to this is now the headache that the government’s PF contribution will move from 11 percent to 18 percent and there is a 10 percent PBI. In the private sector the company has to contribute the PF which in most cases is well below the government’s current 11% contribution. While the civil servants will see at least some increase in the HRA there will be no similar relief for private sector employees. So while landlords will uniformly increase the rent, the civil servants will at least have the capacity to pay, but the financial pressure will increase on private sector employees and along with that an ever-widening income gap between the government and private sector.